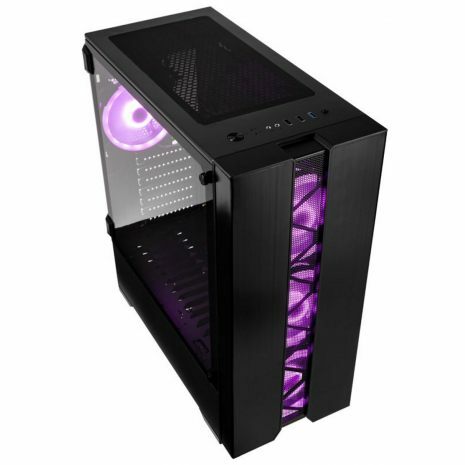 The Phalanx Midi-Tower builds on Kolink's case line-up with a stylish new dRGB-LED model complete with a tempered glass side panel and a brushed aluminium front as well as a mesh cut-out. 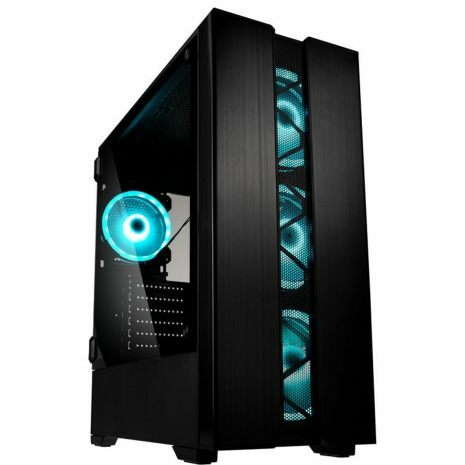 It is defined by a strikingly attractive design that is paired with a multitude of mounting options for fans, watercooling and storage devices. The interior of the black Phalanx is as capacious as it is stylish. 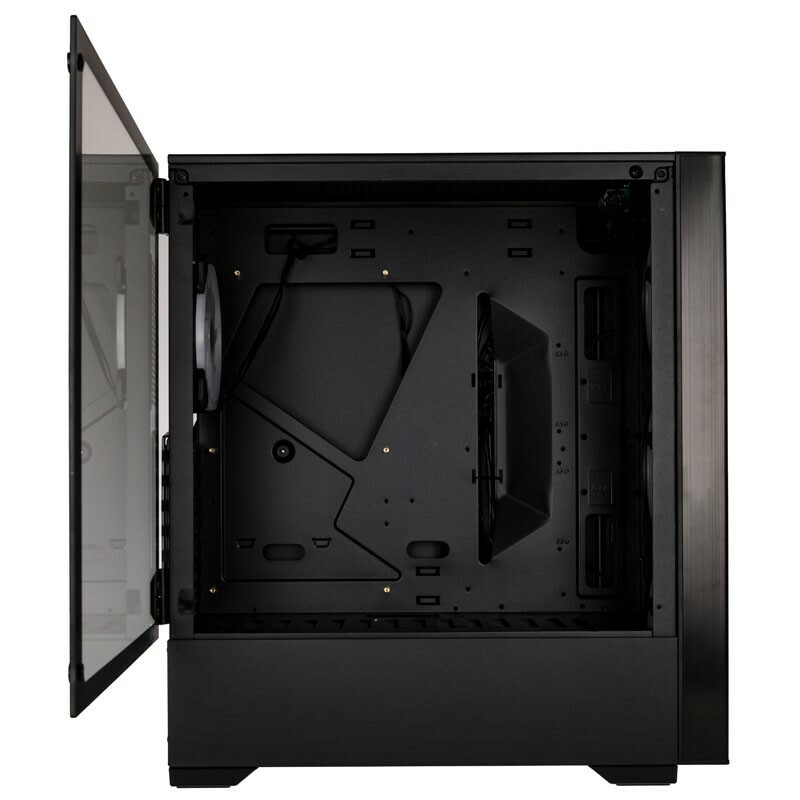 Equipped with 7 PCI slots, the chassis of the Kolink Phalanx consists of steel and the left side bears an attractive tempered glass window. This is not just attached with screws; it folds out conveniently thanks to two hinges. The lower section is completely covered by a shroud that helps conceal the PSU and any less-than-elegant cabling. The two 3,5- or 2,5" drive bays are also located here. There is also space for a further 2 x 2.5" drives on the rear of the case using the predrilled holes. 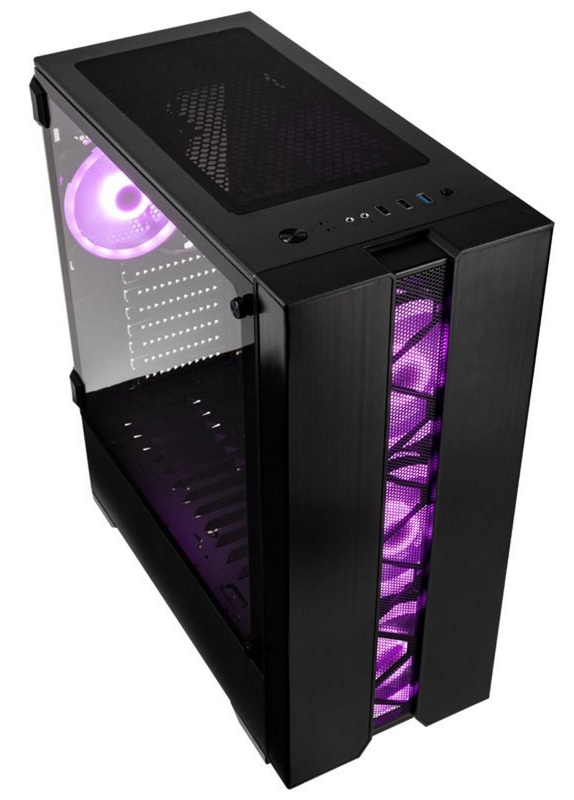 To ensure excellent airflow, the case offers four pre-installed 120mm fans with digitally addressable dRGB-LED lighting, as well as mesh strips in the front of the case. 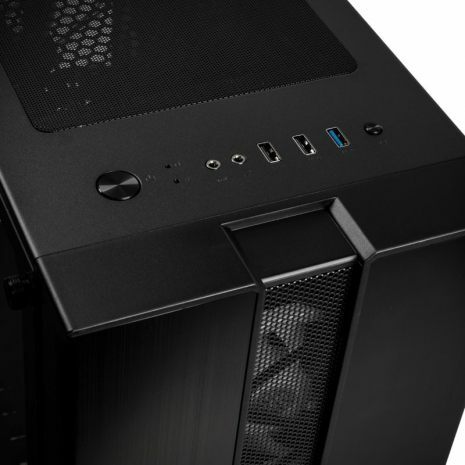 Three fans are installed in the front of the case, meaning they are visible through the mesh at the front. One is located in the back. All fans are connected to the included fan hub/RGB controller. Additionally, the dRGB lighting can be controlled using the bundled remote control, the reset switch on the I/O panel, or via the motherboard directly. 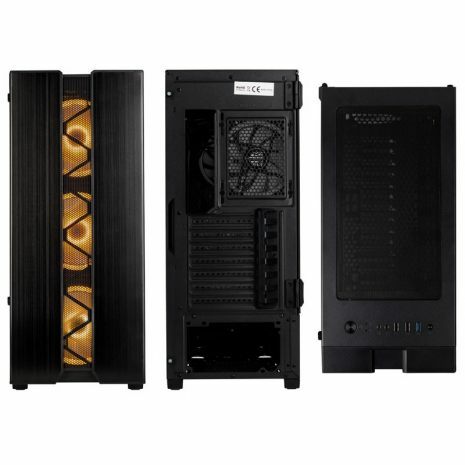 The top of the case allows for two additional 120 mm- or 140 mm fans. 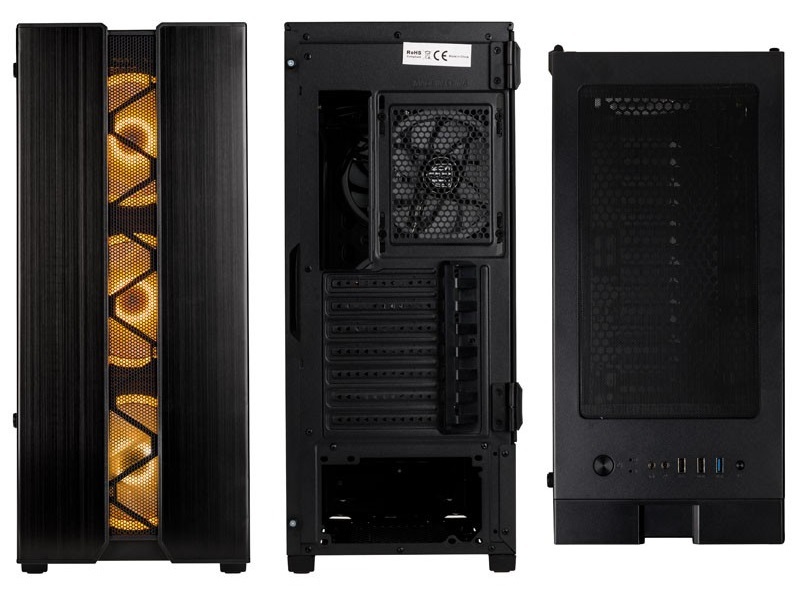 For those who generally prefer larger fans, the case supports the installation of three 140 mm fans at the front in place of 120 mm fans should you prefer. 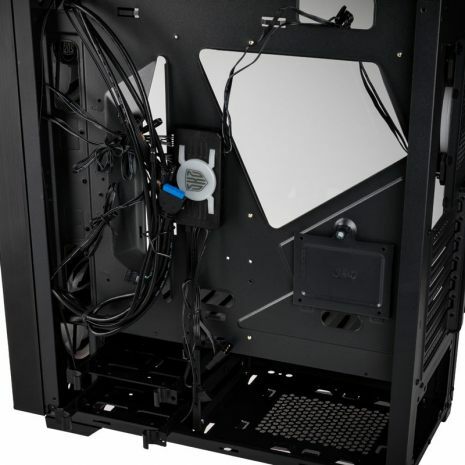 The cleverly placed openings in the motherboard tray enable some exceptionally clean and tidy cable management. 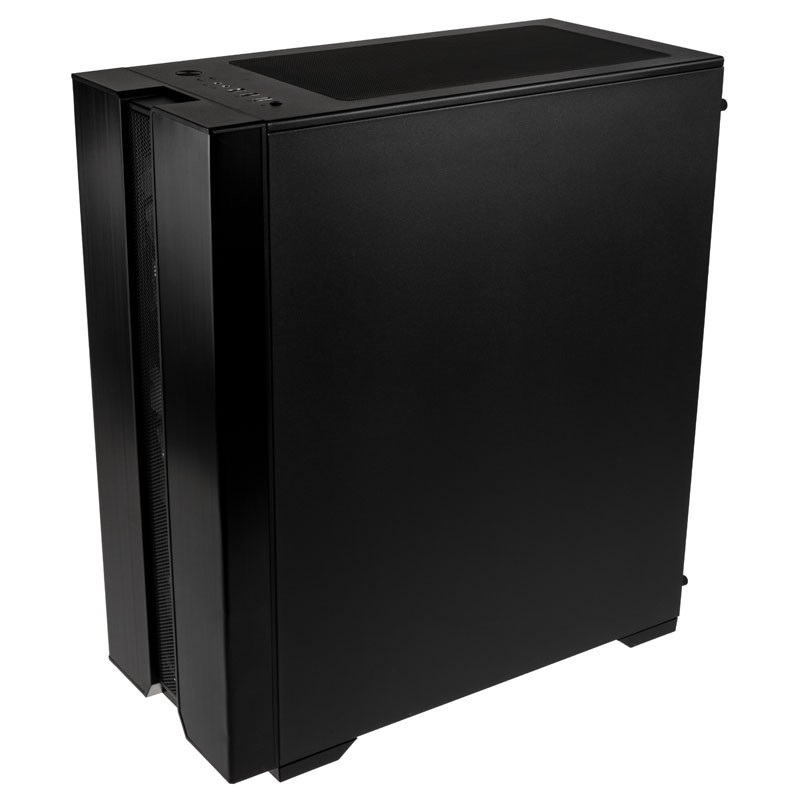 If users wish, the front- and top of the case are both capable of holding a radiator up to 280 mm in size. 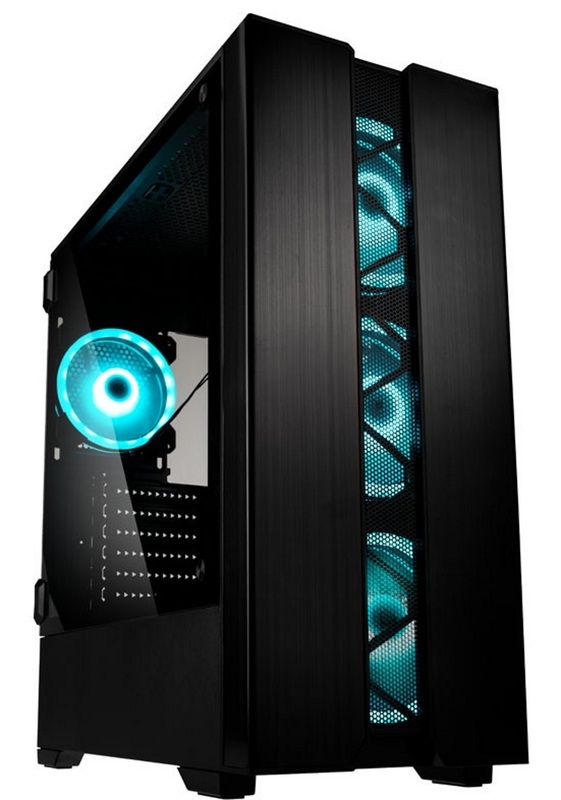 The back of the case naturally also holds a 120 mm radiator if needed. In order to protect the case's interior and your hard-earned components from dust, the case includes magnetic fan filters in the top, bottom and front. This makes them a breeze to remove and clean. 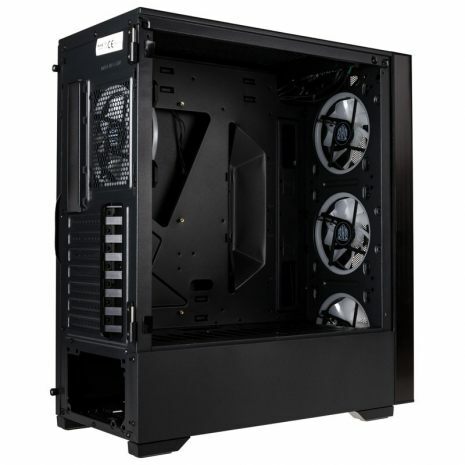 Graphics cards up to 37 cm in length and CPU coolers up to 16 cm tall will fit this case. Power supplies can be up to 24 cm long. The I/O panel is located on the top of the Kolink Phalanx and provides Audio-In/Out, a USB 3.0 port and two USB 2.0 connectors. The reset switch is connected with the dRGB controller, meaning that users are free to swap between multiple lighting modes. Alternatively, the reset switch can also be connected to the motherboard and controlled by remote. The controller itself offers ten connectors for 6-pin fans with digitally addressable LED lighting. Moreover, there are two connectors for use with LED strips with 5VDG connections in the shape of a 4-pin connector. The bundled 3-pin connector allows users to install an RGB-LED controller/fan hub to work with a compatible motherboard, thus allowing yet more choice in terms of controlling your lighting.